What’s in a name? When you hear the name Leslie Ryan, how do you envision what she looks like? Close your eyes and try to say the name out loud. What do you see? You see a typical Irish lass, am I correct? Or when you hear the names Deborah Yamamoto or Lydia Bolts, what do you see? Would you think one is Asian and the other Caucasian? Well, my friend Deborah Yamamoto is a fair skinned, red head of Scottish ancestry. She married a Japanese American named Andy Yamamoto. She told me that she always gets a look of surprise from people when they meet her for the first time. Leslie Ryan doesn’t have blonde hair or blue eyes nor white skin. 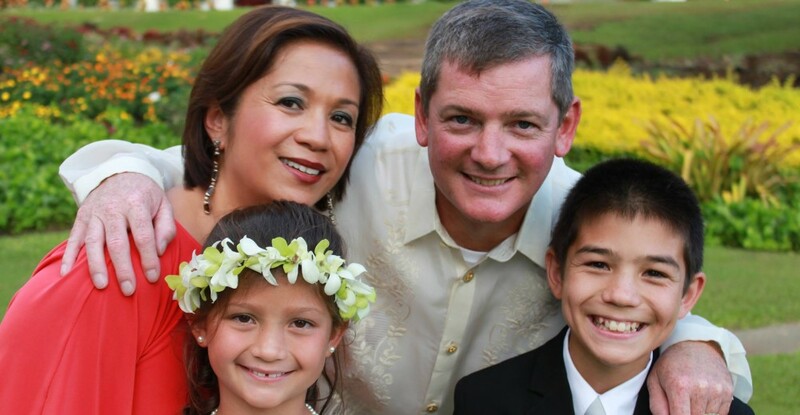 She is a short Filipino American with tanned skin, brown eyes, and black hair – she is me. I married a blonde haired, blue eyed handsome Irish American, took his last name and became Leslie Ryan. It has been 13 years since we were married, and we still experience misconceptions and stereotyping based on my name. 5. Ten years ago, we moved into our home in a neighborhood that wasn’t very diverse. A salesman knocked on my door, and when I opened it, he asked to talk to the lady of the house. I turned around and yelled “Hey, is the lady of the house in?” Then I turned back to the guy, and I sweetly replied, “That would be me!” Then I closed the door in his face. I guess I didn’t look like a homeowner. 4. My husband and I were in the process of interviewing landscape contractors. One morning, we had an appointment with the contractor, but I had to drop off our kids to school and pick up my nanny. When we got home, my nanny went into the front door first, and I was right behind her. We were both in the entryway when I saw that the two male contractors stood up and walked over to greet her and shake her hand. My husband said, “That’s not my wife. That’s our nanny.” Whoops! Their red complexions weren’t from working outside all day. I took the high road and greeted them nicely. I think the guys tried to make up for their faux pas because they answered every question and concerns I had. Sometimes when it comes to construction talk men usually would look and address their answers to their fellow men even if the questions posed came from a woman. These guys knew how to get the contract because they looked at me and addressed me with their answers. I think they knew that even if my husband liked them, I got the last word on whether or not they got the contract. They had a lot of making up to do after the faux pas. They turned out to be the best contractors we ever hired. They have always been respectful and went above and beyond to accomplish all my requests. 3. Twelve years ago, I was on a flight home from Chicago. I was almost six months pregnant, large as a house, uncomfortable, and dreading the six hour flight home. With that in mind, my husband bought me a business class seat on United Airlines so that I was comfortable during the flight home. After I sat down and put my seatbelt on, the flight attendant came over to me, huffed, and asked me in an accusatory tone “Where is Mrs. Ryan?” By the tone of his voice, he probably thought I was from coach, snuck into Business Class and stole a seat. If he asked me for my ticket and driver’s license, I probably would have lost my temper. I politely replied that I was Mrs. Ryan, and the look on the flight attendant’s face was of surprise. The only thing he said was, “Ohhhh…” finally understanding how this short, dark, and pregnant woman could be named “Mrs. Ryan.” He then turned around and marched back into the galley. He was nicer afterwards. Or maybe because he looked at my husband’s airline mileage plus status and saw that it was Platinum? I couldn’t imagine how it was forty to fifty years ago when mixed marriages weren’t as prevalent. 2. Recently, I had several really large and heavy pots delivered, and when I opened the garage door to let the guy bring the pots in, he asked me where Mr. Ryan was and if I worked for him. Seriously? I was even dressed up that day. I was so annoyed, I made the poor guy move the heavy pots a couple of times. Then I felt bad and offered him some water. 1. This is the most recent and most ludicrous incident. I schedule a one on one tutorial at an Apple store, and when I arrived, I was seated with three other women who were Caucasian. The Apple tutor I was assigned to went to the first woman and asked if she was Leslie Ryan. She shook her head. I raised my hand and said, “I’m Leslie Ryan.” The guy ignored me and went to the second woman and asked if she was Leslie Ryan. Second woman said, “No.” He then went over to the third woman, who already shook her head before he asked her. I was the only one left at the table, and he finally looked at me. I gave him a look that says I’m the person he was looking for. I couldn’t resist and asked him, “What, I don’t look like a Leslie Ryan?” Awkward, right? The rest of the hour was a little disconcerting, to say the least. Even though this incident happened an hour ago, I still left the store shaking my head in disbelief. Some of the above incidents happened twelve years ago to just recently. One would think there would have been progress where people no longer assume what a person looks like based on their name. What about multiracial children? My son’s name for example is Sean Patrick Ryan, but he looks more like me. My husband and I thought it would be cool to give him a full Irish name. Did we make a mistake by doing that? Should we have included a Filipino name and hope that they would see he is half? What is he going to experience when he grows up? How will he handle situations of misperception and stereotyping? I can only hope and pray that he doesn’t resent us for giving him that name. So far, he hasn’t experienced any of this. How do I teach my children to deal with misperception and stereotyping? My husband and I discussed this matter, and we decided that the first thing is to make sure our kids have a strong sense of who they are. As long as they are confident about themselves, nothing can break them. Incidents like I have experienced will just roll off their backs and afterwards, they can laugh about how ignorant people can be. The next is to lead by example. If I get angry and throw a fit over every incident I have experienced, then that is exactly what they will do. I usually say something funny or use humor. It diffuses an awkward situation and makes the other party feel dumb. However, if the situation is not based on ignorance but malice, then I will fight and stand up for what is right. I pick my battles. Hopefully my children will learn this as they grow up. I feel that I can’t protect my children forever. Neither can I control what other people say and do. All I can do is teach my children to be confident about themselves and try to lead by example. 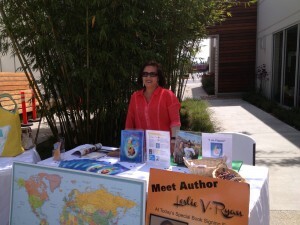 It was a great event of multiculturalism and books. 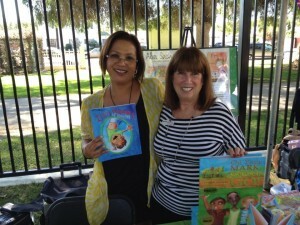 I had a great time with my fellow author Gladys Elizabeth Barbieri. 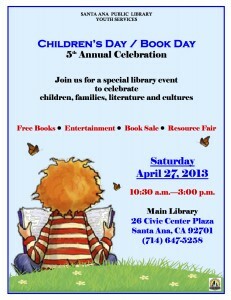 Please join me for this fun event celebrating children of the world through books, exhibits, and other fun activities. 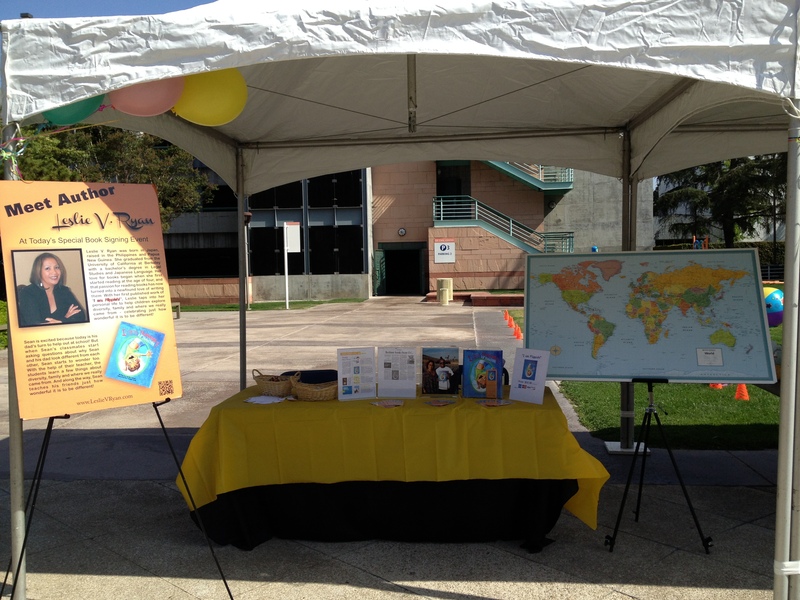 The Santa Ana Public Library is preparing to celebrate its 5thAnnual Children’s Day/Book Day event on Saturday, April 27, 2013. 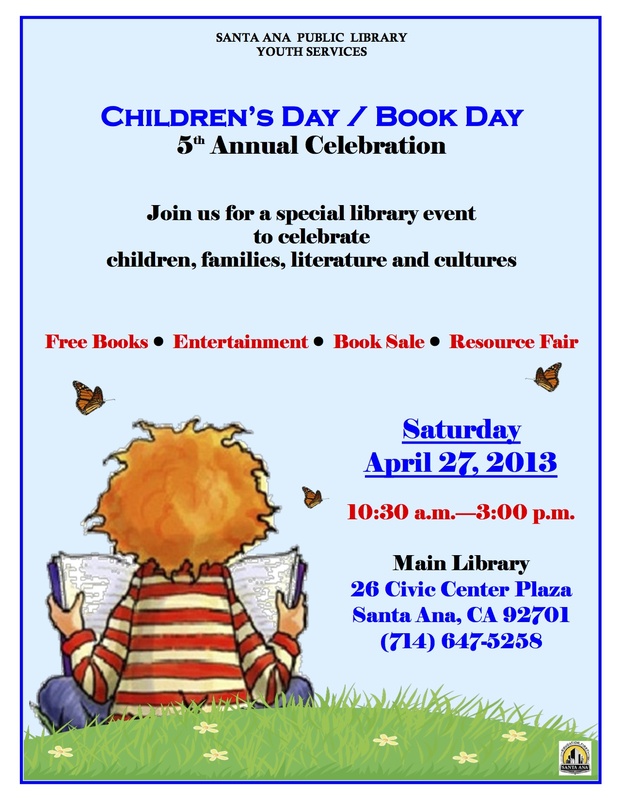 Children’s Day/Book Day continues to be a special library event honoring and celebrating children from all cultures, books, families, and libraries. April 30th is a special day in the lives of many children and has now been adopted in the United States as a holiday to celebrate children of all cultures Children’s Day/Book Day, is widely supported by the American Library Association (ALA), REFORMA: The National Association to Promote Library and Information Services to Latinos and the Spanish-Speaking, and by the Association for Library Service to Children (ALSC) around the nation. 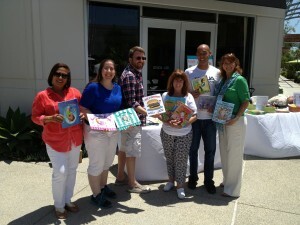 We celebrate the joys and wonders of childhood and the importance of books in our lives. 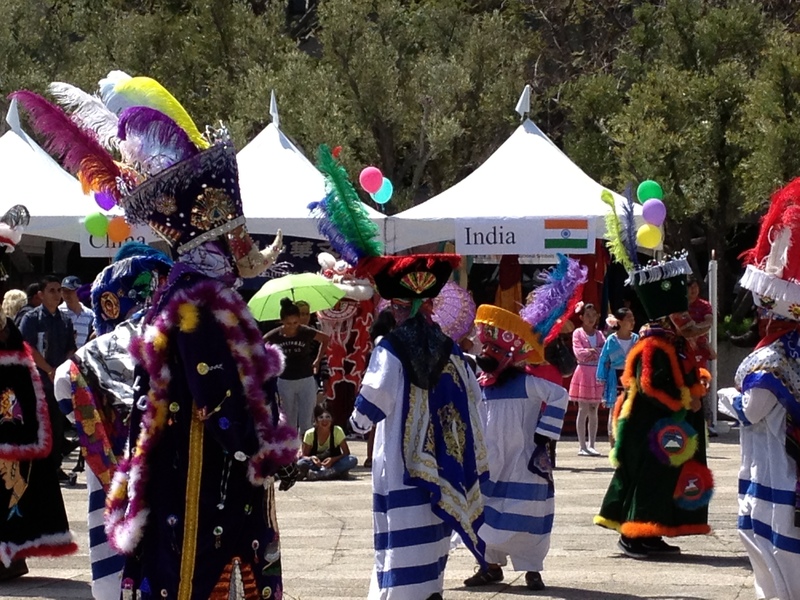 The event will include various multicultural exhibits, a resource fair, storytimes, multicultural performances, free book give-away, and other fun activities such as train rides, face painting and free balloons. 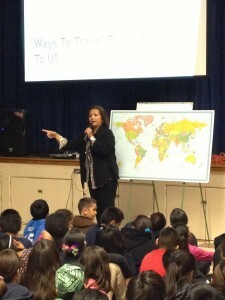 I had a wonderful time with the students and staff of Felton Elementary. 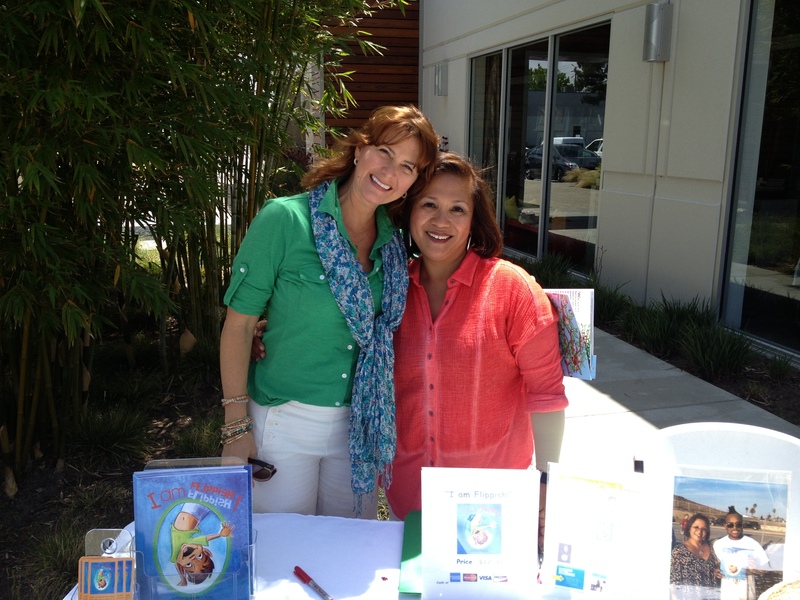 I was met by their librarian extraordinaire, Mrs. Fernandez who showed me the school’s amazing library. I began my visit by reading to very well behaved Kindergarten students. 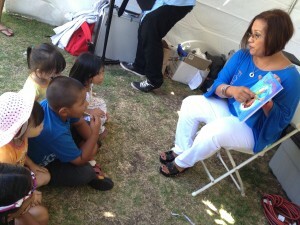 They filed in quietly and listened to my reading with enthusiasm. Then I headed to their cafeteria where I read “I am Flippish!” to the 2nd, 3rd, 4th, and 5th graders. After my reading I proceeded with my lecture on ancestry and immigration. 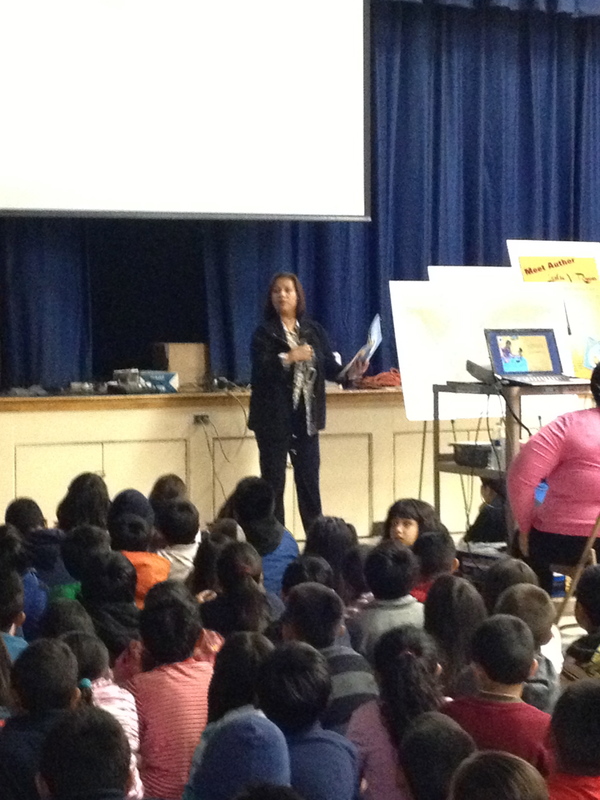 The students were very engaging! I was very impressed when I started talking about the Irish immigration to Mexico, one class knew about it. We talked about the different ways to immigrate in 2013 and in 1620. The children were shocked. I also showed them what it was like to travel in the Mayflower and a modern day cruise ship. All in all, the children got a glimpse of what some of their ancestors went through to come to this beautiful and blessed country called America. Please check out the latest review of my book “I am Flippish!” by InCulture Parent book editor Meera Sriram. InCulture Parent is a fabulous online magazine focusing on raising global citizens. I suggest checking it out for your little ones. 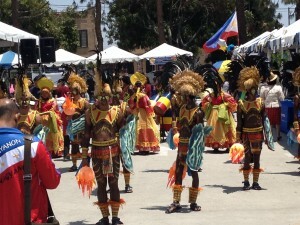 October has been designated as Filipino American History Month all over the US. In celebration of this event, the Echo Park Community Group (EPCoG) in collaboration with the Los Angeles City Public Library is launching the Philippine Heritage Collection at Echo Park Public Library. The collection will be the foundation of the literary, historical and cultural documentation of the Filipino American and Philippine experience. 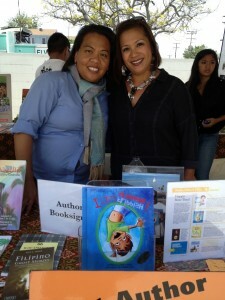 The “story” or experience will also highlight the contributions and sacrifices made by Filipino Americans as immigrants to this land and will showcase literary works of local Filipino authors, especially those writing about their Filipino American experiences and the development of Historic Filipino Town. 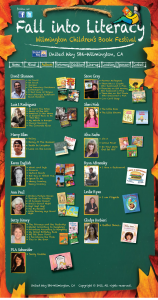 Future programs will include book talks and signings, lectures and cultural presentations. Deleon is the Branch Manager of the Los Alamitos-Rossmoor Library of the Orange County Public Libraries. She will speak on the importance of libraries to our community and what a historic phenomenal event this is – the establishment of Philippine Heritage Collection in the Los Angeles Public Library. Greg Villanueva is an Echo Park native and successful architect, and who brought up the idea of a Philippine Heritage Collection as part of the Echo Park Library. He will share the reasons that sparked the creation of the collection. 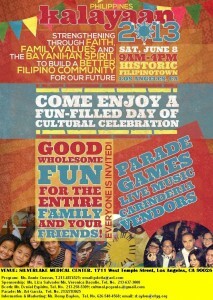 Michelle Magalong of the MyHiFi group will present a Filipino-American Historical Perspective. 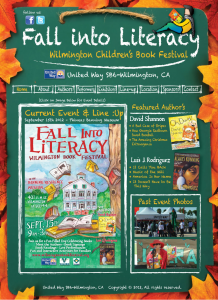 A number of local Filipino American authors will also be attending. Linda Nietes of Philippine Expressions Bookshop, a mail order bookshop located in Rancho Palos Verdes, (310) 514-9139 http://philippineexpressionsbookshop.wordpress.com will be on hand with books for purchase or for donation to the collection. 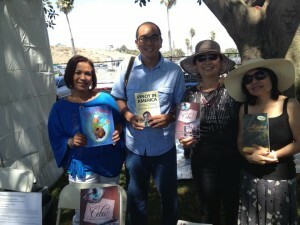 The Southern California authors who will speak and sign their books are: Noel Alumit, author of Talking to the Moon, a novel set in Historic Filipinotown; Lorna Dumapias, author of Filipino American Experience: The Making of a Historic Cultural Monument; Sumi Haru, author of Iron Lotus, Memoirs Sumi Sevilla will share her experiences in her successful Hollywood career ; Lorenzo Paran III, author, Pinoy in America: The stateside life in the time of Barack Obama, Facebook and Pacquiao-mania which is all about life in America; Leslie V. Ryan, author, I am Flippish, a book for juveniles, which tells a story about mixed parentage, and in this case, pride in being Filipino and Irish; Juanita Santos Nacu of San Diego and author of Storytelling. Project heart to heart: A Means to Bridge Generational Gap in post-1965 Filipino Immigrant families; Carlene Sobrino Bonnivier,author of Seeking Thirst, a novel with an Echo Park setting; Zosimo Quibilan, who will read from his book-in-progress, a poetry regarding the Filipino American and Percival Cruz, will read from his book, The Drama Queen and a two-minute story entitled My Way, about an ex-jeepney driver who became an American Idol contestant. 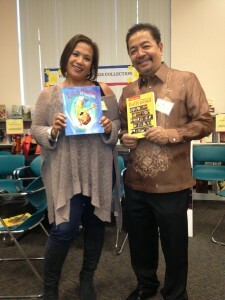 Because the event is in celebration of Filipino American History Month, the themes of the authors’ talks and readings were chosen to fit the occasion. 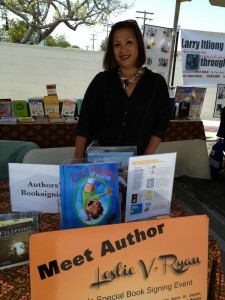 Also expected to attend and sign their books are Ben Aniceto, author of Stay Tuned:The Golden Years of Philippine Radio; Teresita (Tita) Pambid Domingo of UCLA and author of Come On, Let’s Speak Tagalog; Marc Lawrence, who is married to a Filipina, a martial arts teacher and author of a primer, The Basics of Filipino Martial Arts; Albert J.Mortiz, author of Discover the Philippines Cookbook; Ruben V. Nepales, author of My Filipino Connection: The Philippines in Hollywood; Maria Ciocon, Linda Nietes-Little and Julie Wolski who will sign as contributors to the book, The Magnificat: Mama Mary’s Pilgrim sites edited by Cecilia Manguerra Brainard who is out of town. The three contributors have shared their personal experiences of healing of mind, body and spirit after their pilgrimages to sites dedicated to the Blessed Mother in Lourdes, France; Fatima in Portugal; Our Lady of Vailankanni by the Bay of Bengal in India and the Black Madonna in Poland. 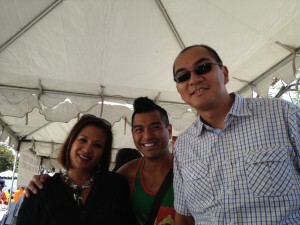 Co-chairs of this event are EPLCoG Board members Caroline Lorenzo and Jose Sigala. Also on the EPLCoG Board are Joselyn Geaga-Rosenthal, President; Lisa Baca-Sigala, Treasurer; Carlene Sobrino Bonnivier, Secretary; Dr. Marc Caratao; Cora Marte; Isa Meksin and Ramona Souza. 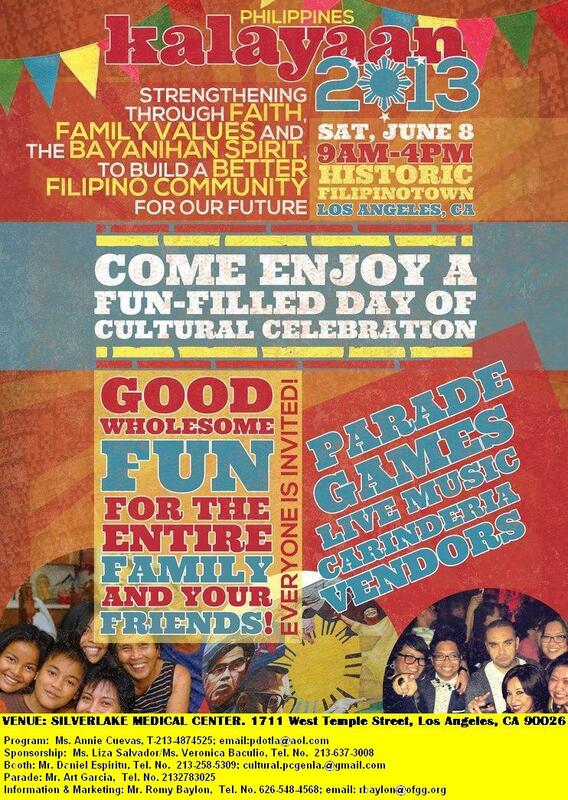 We hope that you will come and support this project which is a wonderful outreach to build the Filipino American community in Los Angeles, with full support from Philippine Expressions Bookshop. The Wilmington Children’s Book Festival was a great event. 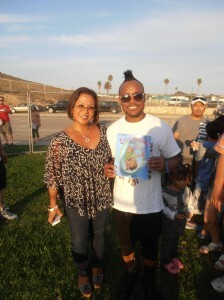 I met so many wonderful families that day. We live in such a wonderful country, filled with beautiful diverse people. I am truly blessed.